Next month, “The Affair” returns to TV. In many ways, the Showtime series is yet another fancy cable drama — layered characters, dark themes, rich production values, plenty of flesh, and, of course, an elegant title sequence. But in one important way, it’s unlike most series, cable or otherwise. Despite a conventional plot about how extramarital love upends lives, “The Affair” is a remarkably inventive piece of TV storytelling. It’s formally ingenious, as it boomerangs back and forth through time and among the perspectives of the major characters. “The Affair” reveals the same events from very different angles, and we piece everything together ourselves; it conveys a powerful sense that the truth is subjective. The show puts the lie to the more omniscient approach we’re accustomed to. At this point in the evolution of scripted TV, there is a regular trickle of shows that toy with form, that don’t operate in the ways TV shows have traditionally worked. Their creators play with how the story is structured, the manner in which it unfolds. They reverse time schemes and mix up chapters and disclose information with new twists. “The Affair” is one of those shows, and HBO’s “High Maintenance” is another. Adapted from a Web series, “High Maintenance” is made up of separate vignettes built around unrelated people in New York City. You encounter the stories like you might bump into people on a Manhattan sidewalk. Their only link is the pot dealer, known only as “the guy,” who bikes bags to each of them. Taken together, the “High Maintenance” segments, most of them 15 minutes long or so, amount to a portrait of New York City circa now — not just hipsters, but people from many different cultural scenes and backgrounds. “High Maintenance,” like “The Affair,” is a puzzle in pieces, inviting active viewer engagement to put it together and see the big picture. It’s one of those narrative rearrangements we didn’t see much at all on TV, before “Lost” changed everything in 2004. 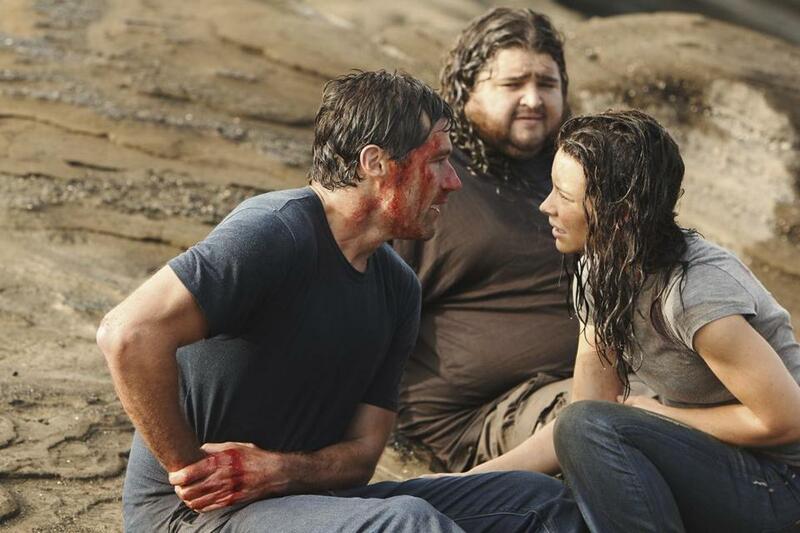 “Lost” ultimately disappointed many, including me, with its slippery wrap-up, but until that point it was groundbreaking, and it remains influential. First, it took the timeworn TV flashback technique a few steps further by using it in every episode, toggling back and forth to show the relationship between a character’s past and present. “Orange Is the New Black” has taken up that practice, beautifully connecting the characters with their lives before they came to Litchfield Penitentiary. “Arrow,” too, depends on the past tense. And these flashbacks aren’t just boosts in particular episodes; they’re ongoing and integral to the entire series. But “Lost” also did something rare. In the season three finale, the show delivered its first flash-forward. I can still remember the thrilling moment when I realized that we were looking at Matthew Fox’s Jack, with a beard, in the future of the story. It’s not often that a show can blow your mind so thoroughly. Talk about your nonlinear storytelling. (And I won’t even get into the show’s “flash-sideways” here.) Not surprisingly, a “Lost”-like series arrived near the end of the “Lost” run called “FlashForward” that capitalized on the technique as it revolved around a mass blackout during which people saw visions of what their lives would be six months later. Alas, the show didn’t catch on and was canceled after one season. Sometimes, the formal fiddling can turn off viewers. Rather than a refreshing twist — as it is on NBC’s new “This Is Us,” where one of the plot lines is set in the past — it can feel like a gimmick (for me, that’s the breaking of the fourth wall on “House of Cards”) or, worse, like work. A show called “Day Break” premiered amid the excitement about “Lost” in 2006, and it had a clever premise — perhaps too clever. An LA cop played by Taye Diggs keeps repeating the same day, during which he is framed for murder. Each day, he tries to clear his name, and sometimes he has an impact on how the day plays out the next time. Are you getting confused? Audiences can handle a movie like “Groundhog Day,” but on a weekly basis, the setup was just too convoluted. By the way, formal innovation isn’t just a drama thing. “How I Met Your Mother” was all a flashback, and the entire last season took place over one weekend. “Louie,” “Lady Dynamite,” season four of “Arrested Development,” they’ve all fooled around, and in the process expanded the definition of TV storytelling. These days, it’s not only the story that matters; it’s also the way the story is being told.